INS MLM Software features allow you to be MORE PROFITABLE when compared to other MLM Software. Affordable Mobile MLM Software, Multi-Lingual, Multi-Currency. INS Affordable Mobile MLM Software can get a new MLM Company or Network Marketing Company started, or take an existing company to a new level of business efficiency, making you MORE MONEY. Affordable MLM Software Testimonials from our clients! Ask us if you qualify for our "Share in the Risk" Mobile MLM Software Pricing. Members Back office and Admin now BootStrap and Fully Responsive so works on ANY mobile device, smartphones or tablets! MLM Commission Calculation - Your Custom Multi-Level-marketing Commission plan built to your specification! 40 hour allowance to build included in Mobile MLM Software purchase. 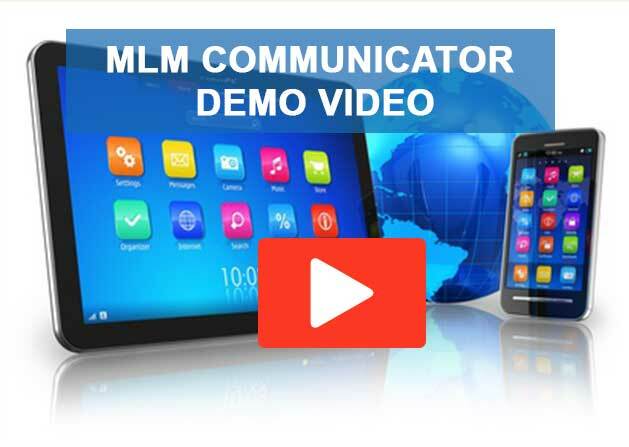 MLM Communicator FREE mobile app allows direct login to members back office from app.